The advantages of website builders are not difficult to understand. Years before the advent of WYSISWYG designing, the only way to build websites was to hire the service of a professional website designer. Often it meant spending hours and days with the designer and spending tons of money for their services. Things are vastly different these days. You can do website designing yourself with software like Website Realizer. The advantage is you don’t have to learn extensive HTML coding, CSS and template designing. The software does everything and generates the code for your browser to read. There are scores of free WYSIWYG software out in the internet, but, most lack in support and documentation. The paid ones give you support services which are important factors in deciding your choice. 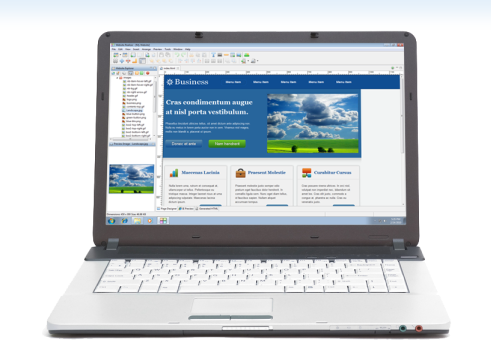 One of the new WYSIWYG designing tools to hit the market is Website Realizer version 1.7.9. You can download a trial version which is valid for 15 days. It has features that make learning website designing easy. Before you download the trial version visit sample sites built using this software to satisfy that it meets your requirements. Author bio: Randy Collins likes writing articles related to Technology News, Gadget Reviews and How To. He also does guest posting for buycharter.com – a site that offers savings and current information on charter internet.